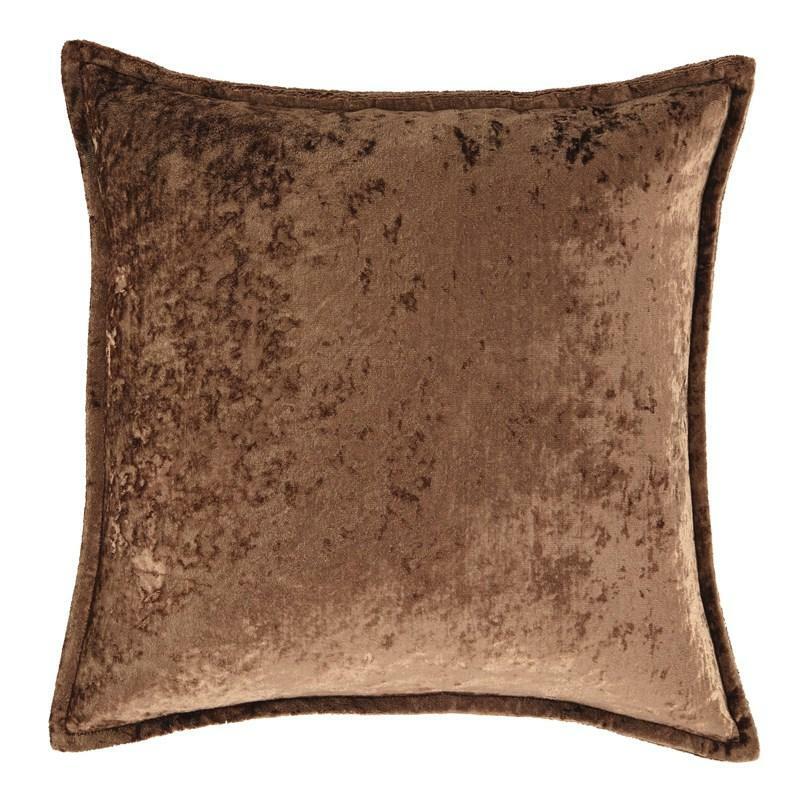 The Melaney accent pillow is all about lavish texture. 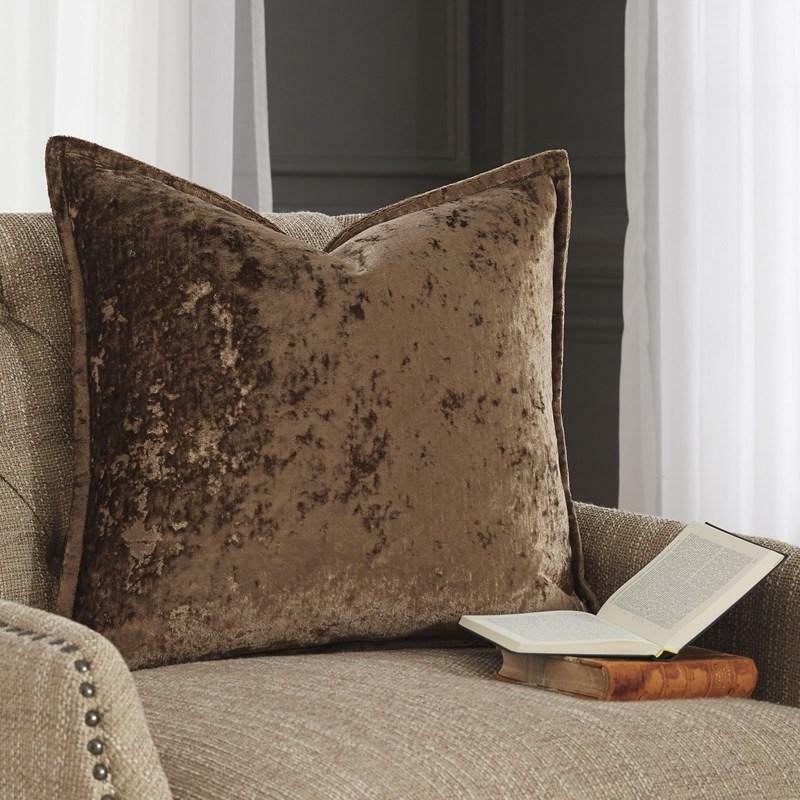 Crushed velvet cover in toffee brown is a simply luxurious addition to your home. Upgraded feather fill makes you fall in love with its softness. And the welted edges? Beyond fashionable.